Due to the recent rise in popularity of crypto currencies, many coins and tokens have been popping up on the market. Some are good or extremely good. And others are bad or extremely bad. But none is quite like the new Shopiblock, as far as I know. Shopiblock is the first decentralized shop software as a service (DSaaS) on the blockchain. The team designed the platform specifically to enable merchants to open a decentralized online shop. And to conveniently allow them to issue their own cryptocurrencies to a mass consumer audience. Discount coupons, loyalty points, and gift rewards will also be tokenized. 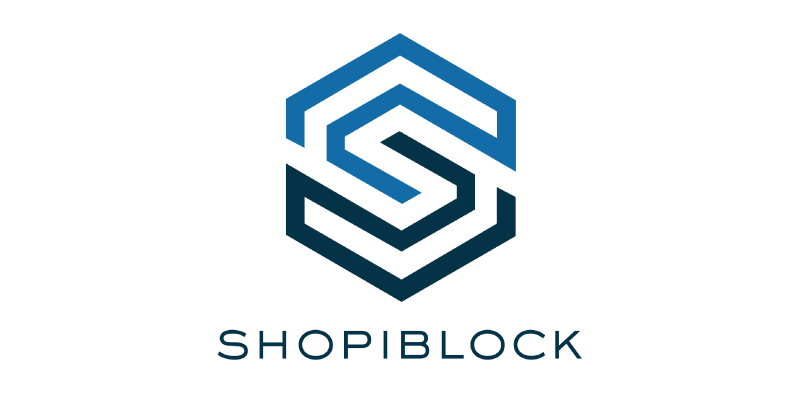 Shopiblock also has an integrated payment gateway for cryptocurrencies. And thanks to it, stores can accept all the cryptocurrencies built with Shopiblock. The integrated Auto Coin Conversion and other features allow users to get a full customizable crypto payment gateway solution. Furthermore, merchants can customize their websites, a bit like Shopify. They can select their website template, which comes with default settings. So they can rapidly switch between templates. And rapidly and simply modify their e-commerce store. While some templates are free, there’ll be a variety of premium themes on the marketplace. But it doesn’t end there. Indeed, merchants can create multi-stores, to target different niches or offer different brands. Finally, because buyers are also important in eCommerce, Shopiblock offers an internal escrow service for consumer protection. For the full scope of the project, take a look at their white paper. Shopiblock token or SHB token is an ERC-20 compatible token. And the team will mint a total Supply of 1,000,000,000 (one billion) SHB tokens. SHB tokens will be the main currency of the platform. And merchants will have to purchase their plans and templates with Shopiblock tokens. Also, the fees on the crypto-exchange and for advertising will require the use of SHB tokens. How to get the free SHB tokens? The Shopiblock airdrop is beginning on April 01st, 2018. Along with a referral program without any limit set for users, just a referral hard cap of 50,000,000 SHB. And they’re gifting overall 40,000,000 SHB tokens for the first 40.000 people who register. First of all, you need to visit this page, to register. And fill in your Twitter username (without @), your Telegram username (without @) and an ethereum wallet address. Finally click on Submit. And copy your referral link, or keep it somewhere. Now you need to complete a few tasks to validate your participation to the Shopiblock airdrop campaign. First, you need to subscribe to their newsletter. Just fill in a valid email address in the footer and click on Submit. Second, you need to follow their Twitter account. Third, you need to like their Facebook page. Finally, you need to join their Telegram group. Serkan who contacted me also mentioned to share and like their Facebook post. And to retweet and like their Twitter post. But I’m not sure which post. So just try to do it with as many post as possible! And you’ll receive 1,000 free SHB tokens. And if 1,000 SHB is not enough, you can take part in their referral program. There are unlimited earning possibilities, without any limitation, until the budget of tokens is spent. So share your link with as many people as possible to get more free SHB tokens! Shopiblock is a decentralized white-label SaaS solution for e-merchants. It allows sellers to create online stores and implement their own cryptocurrency. And they're now giving away free SHB tokens to raise awareness on their project. Claim yours now, before it's too late!